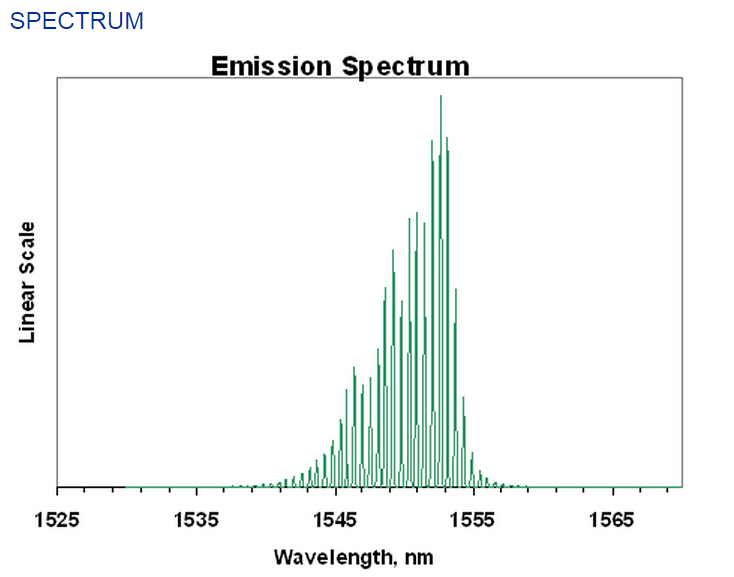 Single mode Fabry Perot (FP) laser. CW or pulsed operation, 0.5ns rise time. Operating temperature range -40 oC to +50oC. 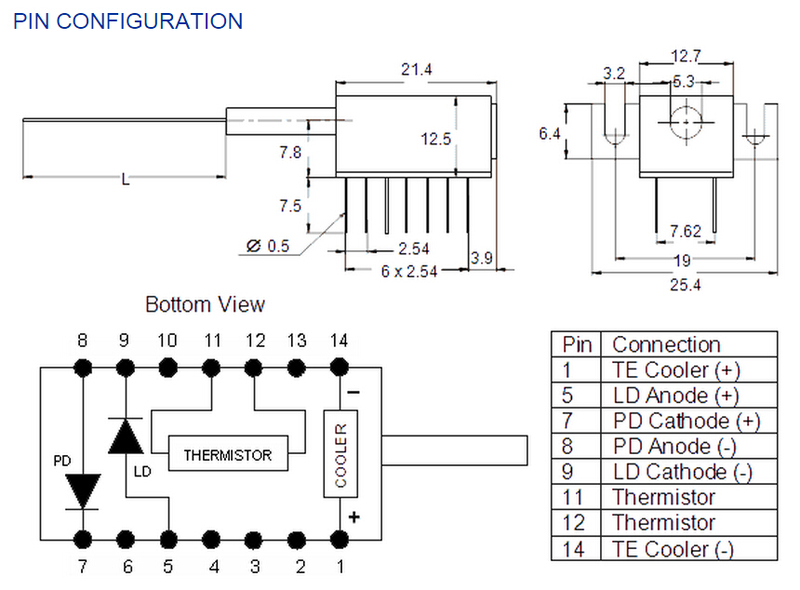 Built-in monitor photodiode, thermo-electric cooler and thermistor. Single mode fiber pigtail (Corning SMF-28, NA=0.14, MFD=8.2um). 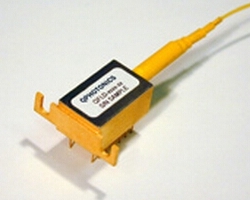 Optional FC/PC or FC/APC connectors.